Lock in a great price for Holland Park – rated 8.9 by recent guests! Wonderful hotel on the banks of the Nile! Close to Jinga. Large rooms. Friendly staff and the own is on site at all times to attend to guests wishes. Really can't say enough good things. This would be a great place for a wedding, honeymoon, family vacation. Picturesque view of the river as it flows gently past satellite islands with untampered flora. Very hospital staff with ready answers for any pertinent question. The views are beyond beautiful and the daily staff are very attentive. The food was good and the cottage was especially nice. Located high on a bluff overlooking the Nile River, this hotel offers a spectacular setting. The rooms are comfortable and clean, although there is no air conditioning. In Uganda the temps are always in the 60s and 70s and some days are more humid than others. Each room has a fan so sleeping was very comfortable. The food in the restaurant was excellent and well-priced, but you need to order in advance. There is a nice road around the perimeter of the property and inside the secure gate so we walked/jogged every day of our 4 day stay. The property is about 10-15 minutes outside of Jinja so it is quiet and the air is fresh and clean. There is 24 hour security so we felt safe. Laundry service was excellent. Be sure to take the 90-minute birding tour. It is fantastic. I loved the scenery Waking up to the Nile in the morning and watching the sun set in evenings. The location was beautiful. Peaceful and relaxing. Staff very helpful. The view is fantastic. Excellent overview of lakr bujagali. Good place for bird-nerds :) regular visits of wild grey parrots and other cool birds in the garden! We booked a private birding-boat-tour on the nile (2 hours for $20 p.P), which was also excellent. the hostess is extremely pleasant and the place is comfy. menu should be expanded though. We live in Kampala and we needed a break from the busy city. Holland Park is a pure paradise, the view is breathtaking, the garden is amazing, the staff is really helpful and the food delicious!!! We loved it and we will be back very soon! Thank you! Really beautiful spot, lots of birds. Really good food, friendly staff and made to feel very welcome. Featuring free WiFi, free private parking and an outdoor swimming pool, Holland Park is set in Buloba, 17 minutes from Source of the Nile Museum. The property features a garden, sun terrace and outdoor fireplace. Guests can relax at the picnic site on site and make use of the BBQ facilities. 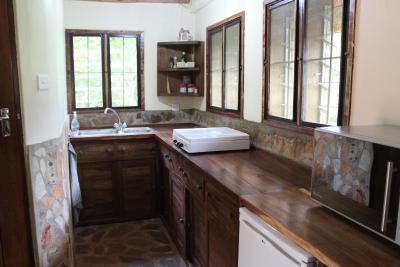 The units at the lodge have a fully equipped kitchen with dining area, a dishwasher and an oven. A microwave, a toaster and fridge are also offered, as well as a coffee machine and a kettle. The rooms also come with a balcony and garden view and river view. All rooms have a private bathroom with free toiletries. Guests at Holland Park can enjoy canoeing, hiking, horse riding and fishing. There are water sport facilities on site. A car rental service is available at this property. Guests can get help at the 24-hour front desk at the accommodations. The nearest airport Jinja Airport is set 5.6 mi from the property. The accommodations offers airport shuttle services to its guests. This property also has one of the top-rated locations in Buloba! Guests are happier about it compared to other properties in the area. This property is also rated for the best value in Buloba! Guests are getting more for their money when compared to other properties in this city. When would you like to stay at Holland Park? This chalet has a patio, kitchenware and tile/marble floor. This double room has a electric kettle, private entrance and dining area. House Rules Holland Park takes special requests – add in the next step! Holland Park accepts these cards and reserves the right to temporarily hold an amount prior to arrival. Please inform Holland Park of your expected arrival time in advance. You can use the Special Requests box when booking, or contact the property directly using the contact details in your confirmation. At night it could be very noisy because of the guard dogs howling and scratching. The food variety is limited. Rarely, but sometimes, a special food order can get confused in translation, But they always make it right! The WiFi signal in the room was very weak. The food was great even though the breakfast is quite a small portion. The staff was friendly and professional. This was not my first choice for a night stop off when driving back from Sipi but the lodge totally exceeded expectations. It was stunning. Excellent view. Excellent food and drink. Excellent service. The manager was super friendly and her whole team worked hard to make us totally welcome. Even when my baby was crying at 3am, someone opened the bar area for me so I could sit and calm him. The boat ride from the lodge is fully worth it and watching the storm come over from the East side of the Nile was an incredible experience. Loved it. Beautiful and quite place to relax and family friendly space.